From its humble beginnings at the Waverley Volunteer Fire Department Hall in 1972 to the present training centre at 116 Lakeview Road, Halifax Search & Rescue has been saving lives, training search and rescue crews, and teaching children and adults woods survival skills for nearly 50 years. This commitment comes from a philosophy driven by a deep tradition of leveraging both success and tragedy to improve to search and rescue operations. Halifax Search & Rescue's success rate is extremely high, but just as you would expect we speak of our history in terms of our losses. After the unprecedented 1986 search in Cape Breton for Andy Warburton, search management courses were introduced and later expanded upon by influential team members Ron Marlow, Ken Hill, and Mike MacKenzie. 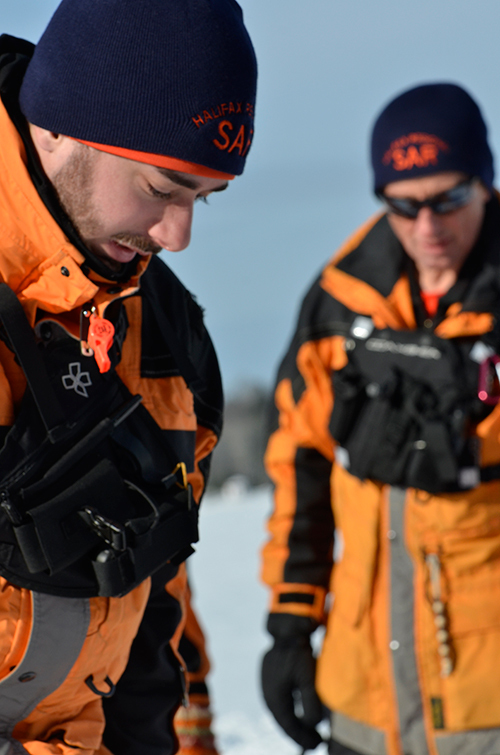 These courses incorporated a deeper understanding of lost behaviour, searching statistical techniques, and training that has now become standard for many search and rescue teams across the country. Today, Halifax Search & Rescue continues to train and certify (through NASAR) search management personnel throughout North America. In 1998, Halifax Search & Rescue undertook the largest mutual aid search operation in Nova Scotia’s history following the crash of Swiss Air Flight 111. Our team was the primary agency responsible for all ground operations, including military operations and other ground search and rescue teams. After 64 days on the ground, HSAR volunteers had contributed 48,780 hours with 3,141 person days—a truly outstanding testament to the team's commitment to ground search and civil emergencies. Here in Nova Scotia our team has led some of the largest ground searches in North America, making Halifax Search & Rescue one of the most experienced and sophisticated in the country. Despite these achievements, we remain committed to growth and continue to work with other agencies and teams to improve the way searches are managed and executed so that we can bring every lost person home.